Note! My granddaughter goes to a school where they are not allowed to celebrate holidays or have any outside food. My daughter and I were devastated when we heard that because we have so many special memories from holiday parties and sweet treats. It makes me sad that Kalina can't sing some of my songs and do holiday activities. But the truth is Kalina doesn't know what she's missing and so it doesn't bother her at all. She absolutely loves school. Her teacher and school have bent over backwards to do other special things with the children, such as a sock hop on Halloween. You can only control what you can control, so you just have to be a little creative to give children alternative memories. 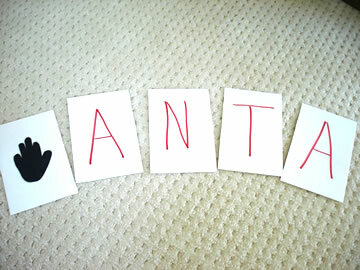 And Santa is his name-o. *You can download this book on my website. Write a different letter on five sheets of paper. Draw a hand on the back of each sheet. Choose five children to hold these as you sing the song. Explain that as you sing the song, when you turn over the letter and see the hand they should clap. Let’s put in some cookies for Santa and his reindeer. And, let’s put in a thermos of milk in case he gets thirsty. Oh. and don’t forget your Christmas lights in case it gets dark. Zip ‘em up and repeat after me. It’s a Candy Cane Forest! And a long, white beard. It’s an egg nog river. I guess we’ll go through it. Turn them on – click. Let’s set out the cookies and milk. I see a big, round belly. And a long, white beard! He-he-he! We can’t let him see us! Quick! Go through the gingerbread house! Yum, yum, yum,! Swim across the egg nog river! Go through the Candy Cane Forest! Slurp, slurp, slurp! *Children could do a time line or a story map of the hunt for Santa as a follow up activity. Someone once told me that ringing bells make you happy. Sounds good to me! I'm tying bells on my shoes and I'm ready to "jingle all the way." Sleigh Riding – Have children sit on the floor facing the same directions. Demonstrate how to hold the person’s waist in front of you. As you sing "Jingle Bells" sway forwards and backwards to the beat as if riding a sleigh. Bell Bracelets – Let children thread several jingle bells on a pipe cleaner. Twist the ends together to make a bracelet children can shake as you sing. 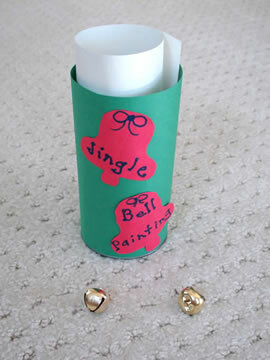 Jingle Bell Painting - You will need an empty cheese ball container or similar cylinder shape with a lid. Cut a piece of paper so you can roll it and put it in the cylinder. Take two jingle bells. Drop one in red paint and the other in green paint. Use a spoon to transfer the bells to the can. Put on the lid, then shake up the can as you sing “Jingle Bells.” Take out the paper and you’ll have a jingle bell painting! This is a craft idea that you can use to decorate your classroom. Take a square sheet of paper (8 1/2" x 8 1/2" works well) and color around the edges with a red marker or crayon. (Demonstrate how to cut a square by folding up the bottom edge to the side to make a triangle. Cut off the top and you'll always have a square.) Put a pencil at a bottom point and roll up as shown. Tape the end, remove the pencil, and use as a pointer or decoration. *Use the candy cane as a prompt for descriptive writing. Children could also brainstorm creative ways to use candy canes or write original stories about how candy canes were invented. Don't let standards be the Grinch and steal away your fun this month. Take a look at some of these ideas I’ve got for you! Sight Words- Each day let children write a high frequency word on a strip of paper and glue the ends to make a link in a chain. They can practice reading over previous words each day as they add a new word and link. Snowman Math - Give children the outline of a snowman similar to the one shown. They can take buttons or other manipulatives and place sets in the top two sections. Join them together in the bottom circle to make the sum. Ask students to write the equation. *Give children a certain number of buttons. How many different combinations can the make on the snowman to come up with the same sum? *Read several versions of the “Gingerbread Man” and compare and contrast. *For younger children run off the sentences and let them dictate sentences. Preposition Elf – Hide an elf (Elf on the Shelf or one of his friends) or similar seasonal toy in a different place in the room every day. Encourage children to use complete sentences as they describe where the elf is. *Let children take turns hiding the toy and calling on friends to describe its location. Some of you will be shopping today and some of you will be working on lesson plans for December. 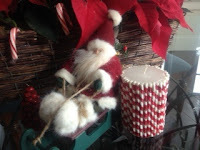 Over the next week I’ll post art projects, gifts children can make, recipes, and lots of FUN ideas. Although you probably haven’t finished your turkey leftovers, I know you need ideas sooner rather than later so you can collect materials and integrate these ideas into your lesson plans. Note! If you do not celebrate holidays in your schools, feel free to adapt these projects. *You can trace around their hands and cut them out, or let children dip their hands in paint and print. 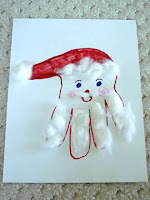 You could also use fabric paint and make holiday shirts with their handprints. Make a list of your blessings. Call someone who has done something nice for you. Write an email or send a card to someone you appreciate. Acknowledge the positive traits of others around you instead of their negative traits. Think of all the people who have done you good and forgive those who have hurt you. Do a little act of kindness today and every day. Several weeks ago my exercise instructor said her church gave everybody a twenty dollar bill and told them to give it to a random person who looked like they needed a little love. As they handed the $20 they were to smile and say, "You are special and God loves you." I thought it was such a great idea I've given away five $20 in the past two weeks. One went to a convenience store clerk, another to a housekeeper, a tired looking fast food server... I've been blessed more than the people I've given the money to. And, it's not the money. It's an acknowledgment that I recognize you and appreciate you. Somebody cares. 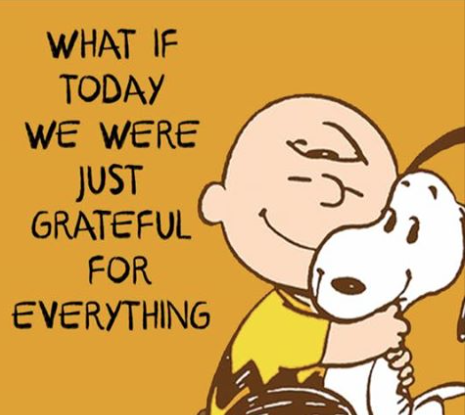 I appreciate each of YOU! Thank you for caring for children every day! FLASH MOB AT NAEYC! CA HE0RE I COME! Yay!!! 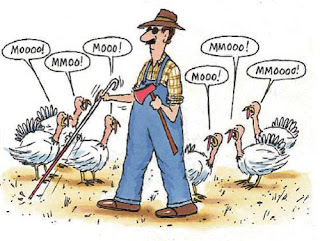 It's almost Turkey Day! I'm in eating and party mode and I hope you are as well. Here's a flash mob we did at the NAEYC Conference last week in Orlando. It was a last minute thing, but it was so much fun!!! You know that I don’t try to do commercials on my blog, but I’ve got as much on my mind today as you do, so I’ll just throw this out there. If you’re out shopping this weekend, here’s an inexpensive product that kids and grown-ups alike will enjoy. Crayola makes WINDOW MARKERS and WINDOW MARKERS WITH CRYSTAL EFFECTS that are washable and will bring out creativity in anyone. They’d make a great holiday gift or stocking stuffer, or just put them out to entertain guests when you’re busy cooking. *Yes, they really do wash off! K.J. and Kalina had as much fun cleaning up with the spray bottle and rag as they did drawing. Write letters, words, numerals, shapes, or anything you want to reinforce on windows or mirrors. *Let children wear sunglasses and identify the information with a pointer. Let children practice writing letters, numerals, spelling words, etc. on classroom windows. * How about rainbow writing? Make giant letters, shapes, words, etc. on windows. Children can take the markers and trace around the figures with different colors. Use these as a reward or when children finish their work early. Use the classroom mirror as a message board to write words of encouragement, reminders, or to celebrate accomplishments. Let children decorate classroom windows for holidays, seasons, themes, or other special events. Write a word or theme and invite children to add their own thoughts to the window. Children can write their name or a special message when they come to school each morning. What an open-ended art center this could be throughout the year! Note! You could even have “window washer” as a classroom job. I found it was best to wipe off the marks with a wet towel before using a window cleaner. Have you noticed some students who just can’t seem to keep their hands to themselves? These are some "tricks" that might be particularly helpful in the weeks ahead. Get a box and write “brain toys” on the it. Next, get some old socks and tie knots in them. When children need to focus invite them to get a “brain toy” from the box. They can hold the sock, untie it, tie knots, and give their fingers something to do. I’ve had teachers say, “Well, what if everybody wants a sock?” Who cares? Get a sock for everyone. The main goal is to give children an outlet that is acceptable, quiet, and won’t bother another student. A similar idea came from a first grade teacher. She gave each of her students a jumbo craft stick to decorate. They tied a 20” piece of string to their sticks and kept them in their desks. When their hands got “figdgety” they could get out their fiddle sticks and wind and unwind the string. One of the simplest ideas for fidgety fingers came from a teacher a few weeks ago who taught her children to cross their fingers and wiggle their thumbs. Then she challenged them to wiggle their index fingers, pinkies, etc. Need a new idea this week? Here's a great lesson to tie in the "olden days" with life in 2015. Bring in a typewriter, rotary phone, camera, and record player. (The real thing would be best, but photos will work as well). Show these one at a time to your students and see if they know what it is. What do we use now that is similar? *Note! Any literature before 2000 will have these tools and so it's importance to help children make the connections. Sing this traditional song and then compare it with the contemporary version. To grandmother’s house we go. In sun or wind or rain. We might take a plane. Or maybe a bus or car. 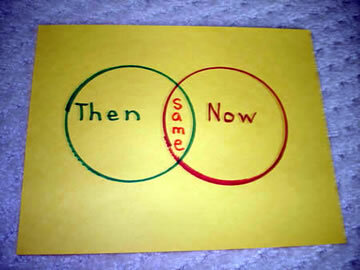 Use a Venn diagram to compare what it would be like to visit grandmother a long time ago and how we visit now. How are things the same? Make a graph of how they will travel to their Thanksgiving dinner. Car? Plane? Train? Bus? Boat? Stay at home! Have children interview their grandparents to see what Thanksgiving was like when they were a child. Give each child 2 paper plates. Use the plates as a pattern to cut circular pages for the book. 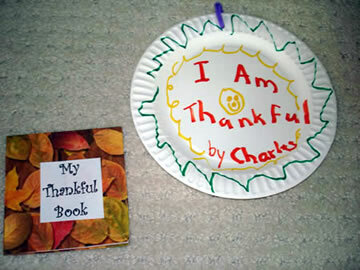 Children can draw, write, or cut out pictures of things they are thankful for on the blank paper. Insert their pages between the paper plates, punch a hole at the top, and use a ribbon or a piece of a pipe cleaner to bind the book. Purchase seasonal napkins at a dollar store. Cut blank paper the size of the napkin and insert inside. Staple at the top and the children will be ready to write or draw in their book. How do you greet a new student? How do you call a friend and invite them for a play date? What do you do when someone pays you a compliment? What do you do when someone gives you a gift? What do you do when someone has a book that you want? There are several good books about manners, but I liked to use a stuffed animal to demonstrate negative behavior. I’d ask the children to help me show the toy the correct thing to do. Although most children grumble about doing chores, jobs at home can be a powerful way to develop “task initiation and task completion.” Chores also help children feel “worthy” and a valuable part of the family unit. We often “assume” that children know how to do a task and then we get frustrated when they don’t do it correctly. That’s why it’s important to model expectations and demonstrate specific steps. 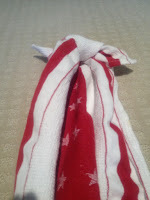 Here's an activity that would be perfect for a learning center or housekeeping area. Bring in some plastic plates, utensils, and cups and demonstrate how to set the table. You might want to trace around the items on a paper placemat so the children can match one to one. Go to the dollar store and purchase a dustpan, broom, duster, etc. Demonstrate how to use these and then invite children to help you keep the classroom clean. There are some tasks that young children can do at home and some that are way too difficult. Let children share the chores that they have at home. Make a list of these tasks on the board. Ask children to choose several three or four that they could do to help at home and make a job chart. Tell them to hang it on the refrigerator and keep track for a week. Demonstrate how to make a check mark each day when they complete the task. *Remind your students that they are responsible for doing the job without having their parents tell them! There’s an important life lesson here. We all have to do things we don’t want to do. The best thing is to just do it and then you can focus on the things you want to do! Task initiation and delayed gratification are also characteristics of the executive function that we want to encourage. I like to use personal stories that children can relate to when teaching social behaviors. "You know, I really don't enjoy cleaning my house. However, I've learned to just get started and do it and then I can do something fun. Has that ever happened to you?" Here's a song to the tune of "Three Blind Mice" that might help your students "git 'er dun"! If there’s something you don’t want to do. I have a little trick for you. Just get started and soon you’ll be through. Have you ever heard your students say, "I don't want that one!" Here's a tune to "The Farmer in the Dell" with a positive twist. Smile and sing and ignore the negative comments. You get what you get. And I just had to include this cartoon today! Remember last week when I shared an idea from Ezabel Decker called the "fist list"? As you give directions the children hold up a finger for each step to help them remember. What a simple way to nurture the executive function. When you give an assignment and then ask a student to repeat the information to their classmates, you are developing the executive function. 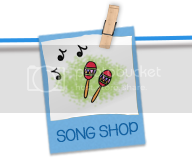 When you sing a song or do a movement activity that has a beginning and ending you are encouraging children to develop impulse control. When you play "freeze" that's also self-regulation. If your schedule is posted in the classroom, if you have routines, if you have rules, if you have open-ended centers where children must start and complete a task independently...you are actually setting the stage for children to develop the executive function. These techniques are the qualities of good teaching from pre-k through graduate school. When you look at this list you will realize that you are already implementing many of these each day. What are your strengths? What can you improve on? Be specific with goals and expectations. 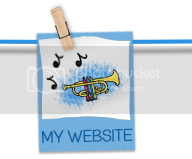 Give clear step-by-step instructions with visual cues. Demonstrate and model what you expect students to do. Teach systematically and explicitly. Go from simple to complex and concrete to abstract. Provide students with group and independent activities. Repetition is important, but remember to provide students with guidance and feedback. Follow routines and be consistent. Post the daily schedule and go over it in the morning and after lunch. Use behavior management with clear rules and procedures. Use natural consequences to discipline. Tie behavior to how it impacts the student and others. Use folders, trays, boxes, and files to organize work. Teach students how to prioritize. Have students recite and record information. Use graphic organizers, acronyms, and mnemonic devices to help students remember. Use self-assessments, rubrics, and checklists. Encourage students to do self-reflection and set goals. Eliminate outside distractions to help students focus. Engage students’ attention with projects that are creative, novel, and challenging. Are you ready to learn with me? Check your body and then you’ll see. Eyes, ears, mouth, hands, and feet. Check your listening body, please. Kaufman, C. (2010). 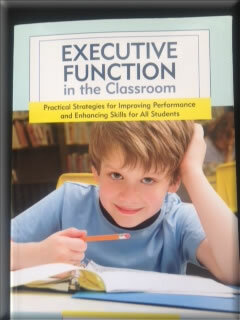 Executive function in the classroom: Practical strategies for improving performance and enhancing skills for all students. Baltimore: Paul H. Brookes Publishing. Tough, P. (September 25, 2009). Can the right kinds of play teach self-control? The New York Times. The reason I think teachers need to be familiar with the executive function is because it validates many of the things we have always done with children, such as centers, partner projects, open-ended activities, and so forth. Come back tomorrow for some teacher tips on nurturing the executive function in your classroom. Mickey, Minnie, Harry Potter, too. and I can't wait to see you! The National Association for the Education of Young Children has their national conference in Orlando this week. NAEYC is always exciting, and mix that up with Disney World and Universal Studios and you've got a GOOD time! I'll be in the Abrams Learning Trends Booth (#632) with all the Letter People on Thursday and Friday. We'll sing, dance, and do lots of fun make-n-take projects. Topics include handshakes, oral language, emergent math, action rhymes, emergent literacy, class books, cheers, and closing songs. Don't forget to bring your camera so we can take some pictures. There will also be a Sing-Along Event Thursday from 4:45-6:30 at the Rosen Centre Hotel (Salons 1 & 2). There will be free food, drinks, prizes, and we're even going to have a "make a memory video" from 6:00-6:20. Here's an idea for the next time you take a little vacation. 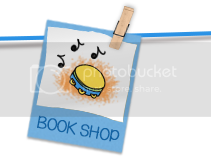 Take photos and then put them together to make a book for your classroom. An easy caption for each page might be, "Teacher's name what do you see? I see tourist attraction looking at me." Note! The teacher who shared this idea said her children loved the travel books that she made over the years. She said many of her children never went more than a few miles from their home, but they'd go to the classroom library and say, "Let's go to Disney World with Ms. Wilson today." Hint! Collect free brochures when you travel for your classroom library. November 16 is Button Day…for real! Here are some thoughts on how to integrate buttons into your lesson plans any day. And, don't forget to read PETE THE CAT AND HIS FOUR GROOVY BUTTONS today! *Have children count the number of buttons they have on. Who has the most? Who has zero? Tally how many in the entire class. *Have children form groups with friends who have the same number of buttons. *Use the buttons children bring in for math activities. Let them sort the buttons. What was their sorting rule? Can they sort them another way? *Write numerals on cups and have children make appropriate sets in the cups using the buttons. *Make patterns with buttons and use buttons for addition and subtraction. *Let children choose one button and glue it in the middle of a sheet of construction paper. 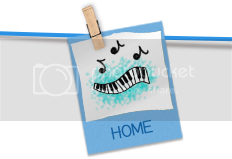 Can they create a picture incorporating the button? *Make cardboard picture frames and let children glue on buttons. 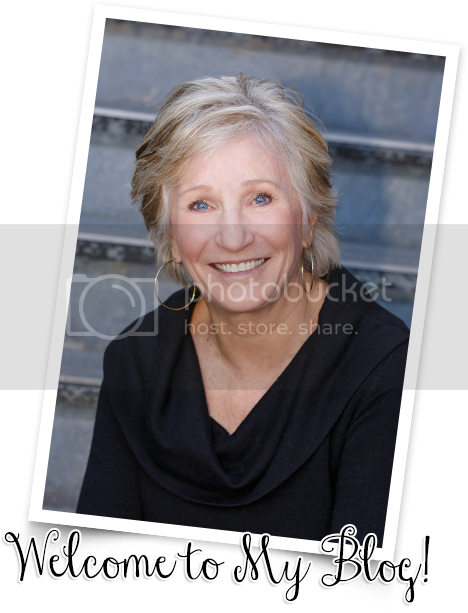 Insert their photo for a perfect gift for mom or dad. *Play “Button, Button, Who’s Got the Button?” This is really a silly game, but my kids loved it. Choose one child to be “it” and hide a button. Choose 3 or 4 other children to leave the classroom and stand in the hall. The rest of the students cup their hands together as if they are holding something. “It” walks around the room and places the button in one friend’s cupped hands. The children in the hall are then called back to the classroom and everyone chants, “Button, button, who’s got the button?” The students from the hall walk around opening hands until someone finds the button. They become the new “it” and the game continues. *Let children make up their own game using buttons. *Demonstrate how to sew on a button. Now, that’s a novel idea! I bet some of your kids have never seen someone use a needle and thread. You’ll be cute as a button if you do some of these activities! We’re glad you’re here today. I mentioned this book last spring when K.J. and Kalina left on a long trip and wouldn’t be back to school. Kalina’s teacher asked each child to draw a picture for her and then they made it into a book. K.J.’s teacher did nothing. Moving away or going to a new school is painful for children. We’ve all felt that sense of loss when we have moved or said good-bye to friends. This book would give children a meaningful way to let their friend know they will be missed. And it would be something the parting child could hold onto and visit when they leave. *Hint! A class photo would make a great cover. It was fun and it worked for a week or so. You’ve just got to create your own happiness and fun every day! I’d love to hear some of your stories. Aida let you in if I knew it was you. Dewey have to wait long to eat? Waddle I do without you? What kind of music did the Pilgrims Like? What key won’t open any door? 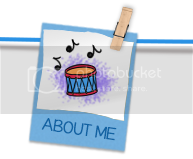 Why was the turkey the drummer in the band? It was the chicken’s day off. Why did the chewing gum cross the road? It was stuck on the turkey’s foot. 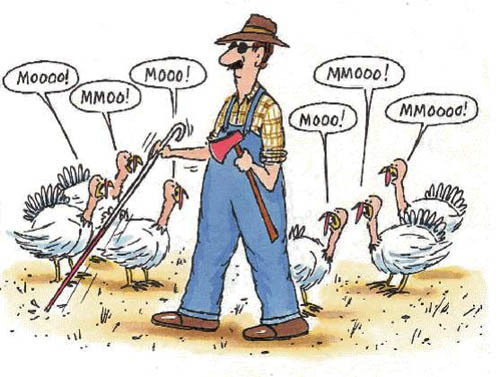 Which side of the turkey has the most feathers? What do you find at the end of Thanksgiving? What always comes at the beginning of parades? Tell and draw stories are something that children and teachers ask for again and again. I was going through old files I found this one called OWA TAGOO SIAM. This is good for listening skills and sequencing. Do it the first time and you’ll have a few kids “get it” at the end. On the second telling, leave out some words and let children supply the missing information. After several times invite the children to join you in drawing and telling the story. Once there was a little old lady who lived out in the country. And she planted seeds there. They would also watch the geese on the island. What do you think she saw? If you've got 2 or 3 minutes after you've read a story or taught a lesson, these are some quick ways to assess learning and recall information. These ideas can be adapted for fiction or non-fiction literature, math, science, or social studies. All your students will be engaged and can reflect on what they've learned. That's a win/win!! Teach children sign language for “yes” (make a fist and nod it up and down) and “no” (extend middle and index finger from thumb and open and close. As you ask questions, children respond with the appropriate sign. Teach sign language for "connection" (thumbs make circles with index fingers and join like a chain). Discuss that when they connect what is in the book with what is in their brain they make a "schema." If they've made a "schema" they can show you with their hands. Call on random students to explain how they connected personally with the book. You will need two index cards. Write “yes” on one and “no” on the other. Children place these on the surface in front of them. As the teacher asks questions, the children hold up the appropriate word. Seal an envelope and cut it in half. Write “yes” on one side and “no” on the other side. Explain to the children that they get to be the teacher and ask you questions. Remind them to think about what they want to ask you before raising their hand. They must also know the answer to the question they are going to ask.